Rediff.com » Business » Here an apartment costs $57 million! Here an apartment costs $57 million! A luxury apartment in Hong Kong has been sold for $57 million. The five-bedroom duplex is spread across an area of 6,158 sq ft. At $9,200 per square feet, it turns out to be Asia's most expensive apartment. The identify of the buyer is not revealed. The luxurious residential building, 39 Conduit Road built by Henderson Land Development is located at Hong Kong's Mid-Levels district facing the Victoria Harbour. Despite the economic slowdown, property prices in Hong Kong have risen by 26 per cent this year. Image: The luxurious residential building, 39 Conduit Road. The property offers 66 premier units ranging from 2,800 to 7,600 sq. ft. Standard unit, semi-duplex and rooftop duplex units are available. 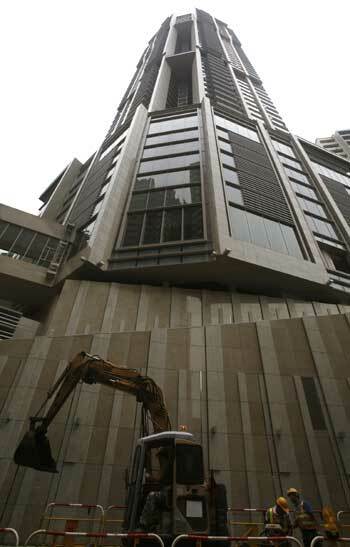 Another apartment in the building was sold at at $51.22 million (HKD 397 million). The apartments have a range of facilities like aroma spa centers in the clubhouse, swimming pool, luxurious fitness centre with an outdoor yoga room, regal ballroom and a poolside party yard. 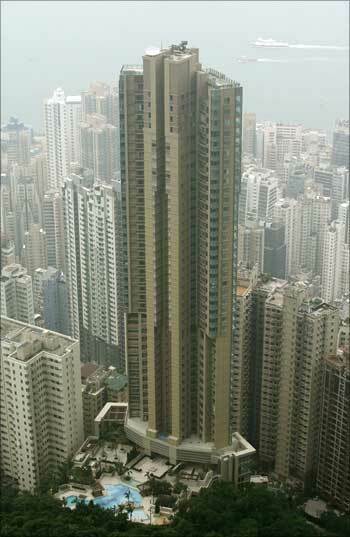 Image: Hong Kong's luxury apartment. The demand for luxury properties is at its peak, especially those that are amongst the best-of-the-best. Henderson Land Group holds a wide range of property of this kind, which is always a popular choice for buyers, says a company official. Henderson Land Development is the third largest Hong Kong real estate developer by market capitalisation. Image: Good demand for luxury properties.